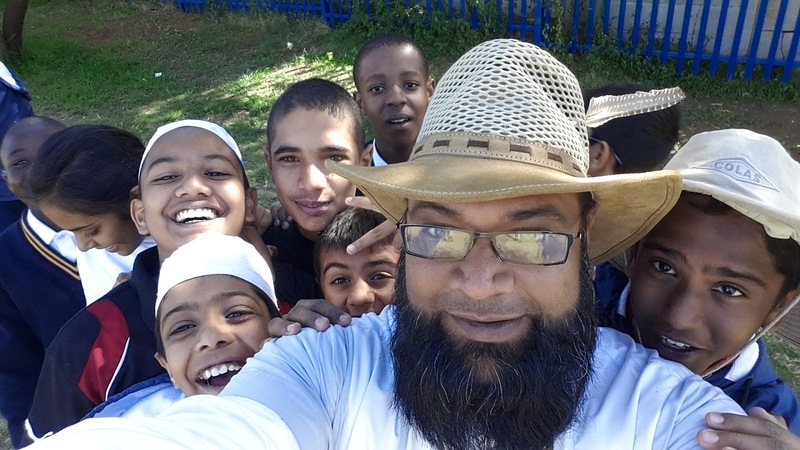 This is the first post in a new series called ‘Educator Spotlight’ highlighting South African educators using ICT Technology effectively in the classroom. In this post we focus on Adil Mungalee, Deputy Principal, Dr Yusuf Dadoo Primary School in Krugersdorp. 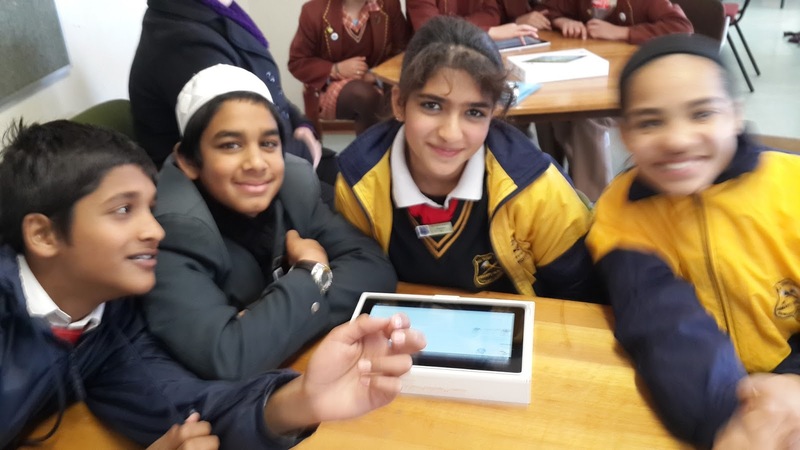 “Technology today has moved at such a quick pace, that every industry is employing ICT’s in some way or the other, so why should the schools not be at the forefront?” This is the viewpoint of Adil Mungalee, Deputy Principal at Dr Yusuf Dadoo Primary School in Krugersdorp. His position as Deputy Principal gives him a great advantage in influencing how a school needs to channel funding into ICT’s. “I want Internet access for all my teachers and learners, as this will make communication so much better. I believe that every child has a right to access technology enhanced learning, so it will be vital for them to have some sort of device which will enable them to access electronic resources, be it a tablet pc, a laptop or a smartphone. They need it.” He admits, however, that the reality is that we can’t always afford what we like, so we just need to wait until the government issues us with the technologies we need to compete with the rest of the world. At his school the teachers each have a laptop and they have an ICT lab, but the students don’t yet have access to devices in the classroom. 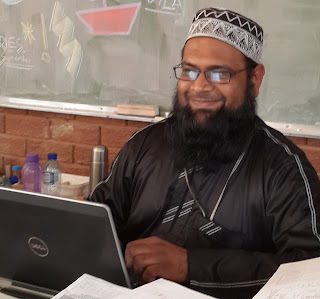 Adil was placed first in Gauteng province in the category Excellence in Technology–Enhanced Teaching and Learning Award in the National Teacher Awards in 2015. This award recognizes teaching methods and administrative functions which use ICT’s effectively in schools. The award also looks at innovative teaching and learning strategies employed through the use of ICT’s both in the classroom as well as in administration. Adil is very proud of this achievement. He uses the teacher file in OneNote to check his lesson preparation and access other resources that he would file per lesson. This makes it easy to get to stored information. Adil has started updating his file to accommodate the curriculum for the entire year. This will save him a lot of time in the future. He is longing to use OneNote as a learning tool with his students. Unfortunately many of the students don’t have access to computers at home. How does his school use OneNote? Adil loves using Microsoft OneNote and claims that it is the perfect application to use, not only to file documents with such ease, but also to save money! 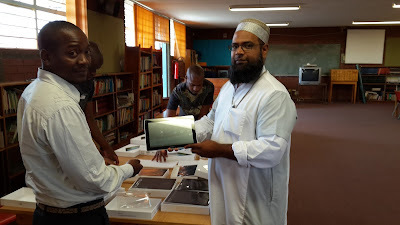 At Dr Yusuf Dadoo Primary School, all the teachers are experimenting with Microsoft OneNote for planning, and storing documents electronically. The principal emails all important documents directly to the teachers so that they can print directly to their OneNote files. The teachers are slowly introducing the use of OneNote e-files in all their subjects, so that soon they will not claims that this will save them a lot of money and time in the long run. How does Adil inspire his peers to use One Note? He has conducted workshops with his colleagues both at school and District levels. The workshops which he conducted where he showcased his filing system, were met with great awe and positivity. He finds that after a workshop teachers from other schools rush towards him with their flash drives, hoping to get the OneNote template that way. You’ll find the OneNote website at https://www.onenote.com/Microsoft OneNote is a free must-have classroom or individual application from Microsoft, available online and offline as well as cross device. It is useful information gathering and multi-user collaboration application. OneNote can be used to gathers users' notes (handwritten or typed), drawings, screen clippings, document attachments, videos and audio commentaries. You will find tutorials shared by teachers around the world about OneNote on the Microsoft Educator Community. Take a look at http://bit.ly/1QXY0jG for an example. If you have answered “yes” to these questions, consider signing your school up to be part of the Microsoft Schools Programme by Friday 28 October 2016. Please apply to be part of the Microsoft Schools Program by completing the application form here by Friday 28 October 2016 (please note that the origianl date of 21 October has been extended 20 28 October). On Thursday afternoon 22 September we held a webinar entitled, ‘Beyong PoweerPoint to online Apps' using SchoolNet's Adobe Connect platform. Our speaker was Mabore Lekalakala, a South African educator currently teaching Grade 6 Mathematics and Natural Sciences & Technology at Toronto Primary School in Limpopo, Province. In this webinar, Mabore showed us how to use PowerPoint to create video-based lessons including in the lessons new add-ins and other special features such as YouTube videos, Google Forms, Quizzes, Geogebra, and Testmoz to make them interactive. She also told us how to create PowerPoint games and save lessons 'in the cloud' where they will be accessible on any device. Summary: In this webinar, Mabore will show us how to use PowerPoint to create video-based lessons including in the lessons new add-ins and other special features such as YouTube videos, Google Forms, Quizzes, Geogebra, and Testmoz to make them interactive. She will also demonstrate how to create PowerPoint games.The lessons will be saved in the cloud where they will be accessible on any device. Presenter: Mabore Lekalakala is a South African educator currently teaching Grade 6 Mathematics and Natural Sciences & Technology at Toronto Primary School in Limpopo, Province. Here's a GEG (Google Educator Group) event that you don't want to miss if you live in Cape Town! The Amazing Race! It is offered by the GEG Cape Town Central group. Topic: The Amazing Race Google Style! 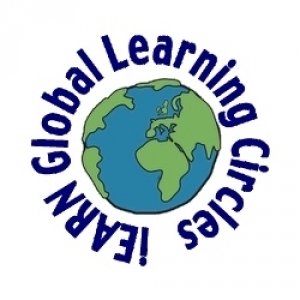 What are Global Learning Circles? The Global Learning Circles project attempts to draw participation from iEARN members in as many countries as possible. Teachers and students work together in small groups to learn about each other by exchanging cultural information and working together in collaborative project work. Many experienced participants have already registered, so we are hoping for a very active and dynamic session of Learning Circles. As the world changes and is moving more rapidly, it can feel overwhelming to know what and how to incorporate new technology into your classroom. Hack the Classroom is an exciting online live event designed to inspire and enable you to incorporate new ideas and tools into your classroom so your students can achieve more. The key is to start with just a few small steps. Register today to reserve your spot. Find details and agenda. Twitter @Microsoft_EDU and share your thoughts using #HackTheClassroom! 15 Sept 2016 - Last chance to apply to be a Microsoft Innovative Educator Expert! Have you considered applying for the Microsoft Innovative Educator Expert 20016/2017 program? Although the MIE-Expert application process on the Microsoft Educator Community has closed, South African and Lesotho teachers have a final opportunity to apply to be part of the MIE Expert program for 2016/2017. If you would like to be part of this elite group of teachers who are using technology to pave the way for better learning and student outcomes you have until 15 September 2016 to submit your application. If you would like more information on the Microsoft Innovative Educator Expert program and how you can apply take a look at this flier giving all the details. Remember – nothing ventured – nothing gained!